Back at the end of 2014, YIMBY reported on the first permits for Ceruzzi Properties’ new tower at 520 Fifth Avenue, on the corner of West 43rd Street. The building will rise 71 floors and 920 feet to its roof, with a design by Handel Architects that YIMBY can now reveal thanks to eagle-eyed Forum user YIM_Hudson. An old design was previously revealed prior to the current plans coming to life, which had depicted a building of a slightly shorter scope. 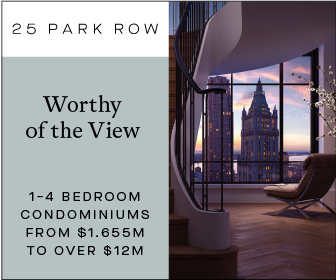 The filings for 520 Fifth Avenue came as developers were making their final push to beat the DOB’s anticipated changes at the end of 2014. Despite permits being pulled, work on 520 Fifth Avenue has lagged behind competing projects filed around the same time. The site currently hosts a flea market, one of several that have popped-up on demolished-but-stalled building sites in Midtown, and while making way for actual construction should be fairly straightforward, the city’s stalling highest-end condo market may get in the way of progress. 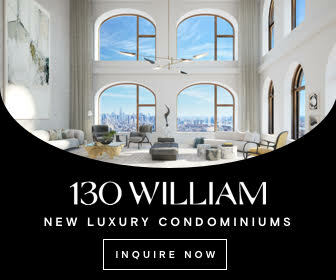 Similarly located and scaled developments now getting underway include the Pelli Clarke Pelli designed condo project at 138 East 50th Street, where construction has already progressed well into the foundation stages. 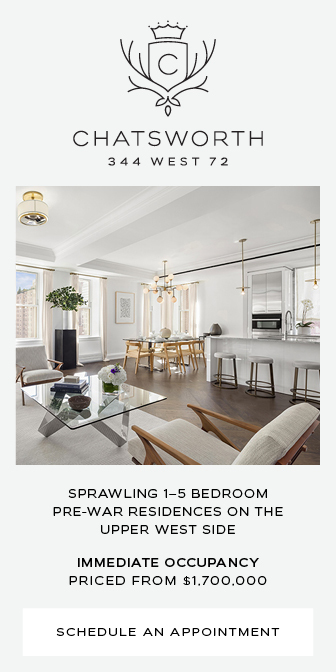 The list also includes 53 West 53rd Street, where work is much further along. 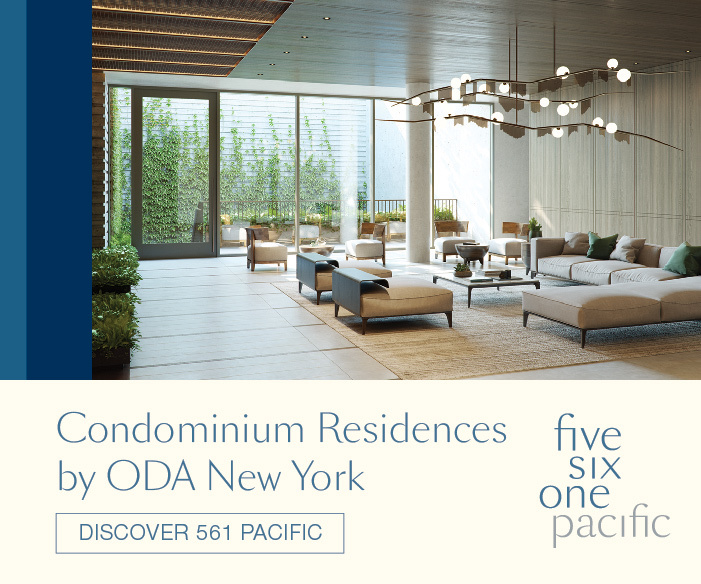 The development mix at 520 Fifth Avenue won’t be quite as straightforward as either of the aforementioned projects, with substantially more commercial space to be located in the lower levels. 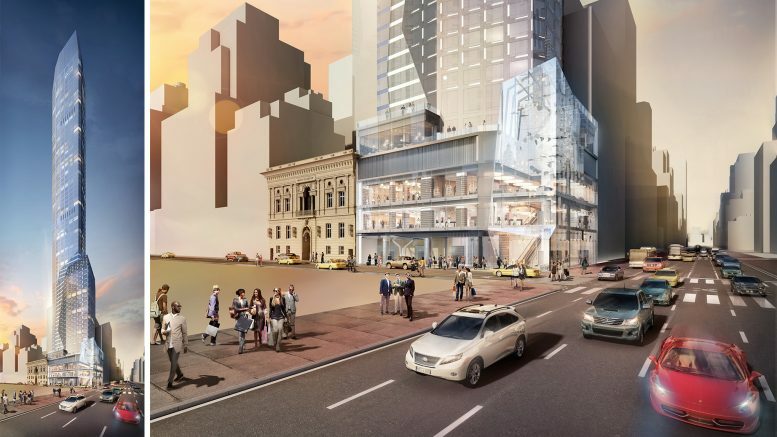 The building will begin with three floors of retail, which will be topped by 21 floors of hotel rooms, with those combined components totaling 156,024 square feet and 208 rooms. 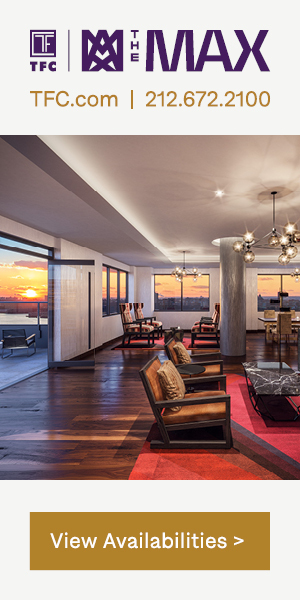 Above the hotel, the building will have 197,565 square feet of residential space, to be split between 145 units for an average apartment size of approximately 1,300 square feet. 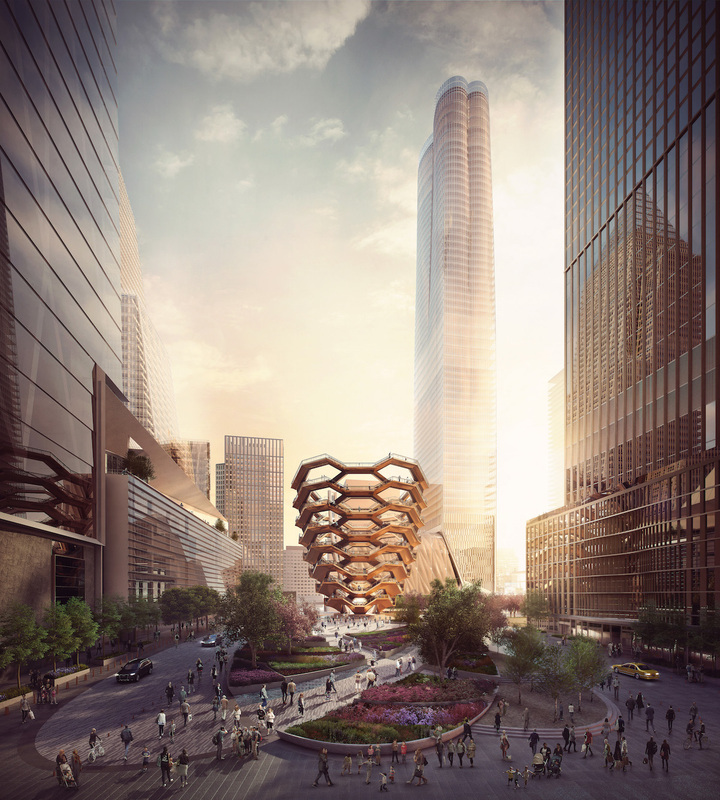 As for the tower’s design, Handel has created a tapered and soaring skyscraper that would greatly benefit the intersection of Fifth Avenue and 43rd Street. The building’s sleek proportions would begin with the jagged retail base, which would first yield to a tapered hotel component, before receding as the residential portion rises behind. Back in 2015, the site’s developer Louis Ceruzzi said that construction would begin by the spring of 2016, though evidently that has not occurred. Whether the current design actually makes it through to completion remains to be seen, but the tentative plans are certainly impressive. 2 Comments on "520 Fifth Avenue Revealed, Ceruzzi’s New 71-Story Midtown Tower"
However, I may not remember the 71-story Midtown Tower, but I feel fresh when I see design. Why not over 1,000 feet?